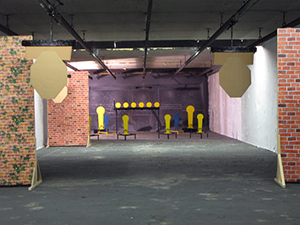 We operate indoor and outdoor shooting range for public visitors open all year long. 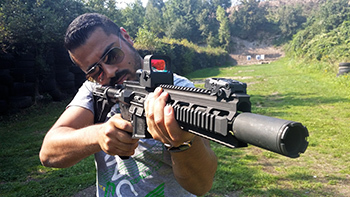 Our licensed shooting instructors are professionals, ready to handle groups or individuals in English. 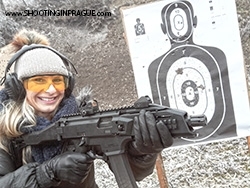 Shooting the best legendary hand guns, rifles, revolver or shotgun is a lifetime experience for everybody and one of your must to do in Prague. You can book shooting directly from us or use your travel agency. You have to be 18+ old and bring your valid ID or Passport! Please note that we are closed for public visitors in date 10.4. 2019 due to police trainings. Book please for other days. new arrival at the outdoor shooting range from MAGNUM RESEARCH. Apocalyptic DESERT EAGLE MARK XIX. You can upgrade only from any shooting package at the range. Due to strong kick, size of the gun with G10 grips etc. 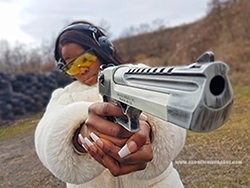 - every person will be allowed individually to shoot this gun by instructor when you arrive if you meet minimum physical requirements for your better safety. outdoor shooting range will be open for public visitors during the winter time as well. Dress warm and enjoy unique snow experience shooting with new arrival CZ SCORPION EVO 3. Modern submachine gun equipped by red-dot sights SIGHTMARK, semi-auto. You can easily upgrade from any UZI package on arrival for FREE. 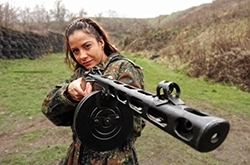 you can start new year with PPSh-41 Tommy gun. One of the most famous rifle in the World War II, shooting legendary 7,62x25mm TOKAREV ammunition from the drum magazine, stronger than 9mm Luger, semi-auto. All visitors can upgrade from any package on arrival. extended for success, in dates 1.1. - 1.6. 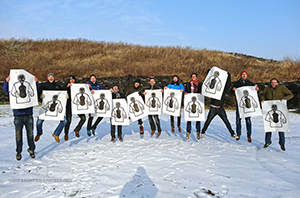 2019 you have a unique opportunity to try during factory testing days at our shooting range. This gun is equipped by military Holographic Sights SIGHTMARK and 5,56x45 NATO ammunition, MAGPUL . You can shoot this gun from any package at the range. ONLY at the outdoor shooting range for your better experience (due to cartridge size, air pollution, noice and shock wave). Bolt action rifle shooting the legendary ammunition 7,62x54R used before in Dragunov or Gorjunov 43 machine gun. 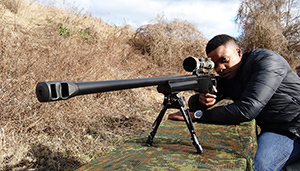 SAKO 42 adjustable stock with police bi-pod for your perfect shooting possition and hits, illuminated camouflage sniper scope and PRO competition trigger. You can upgrade from any shooting package at the range. 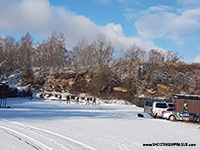 most of our customers prefer shooting full caliber rifles outdoor even during winter/snow and enjoying snow shooting experience and outdoor atmosphere. 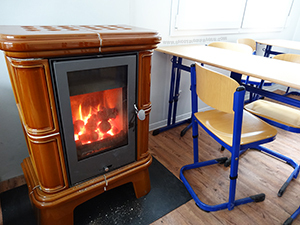 No worries about cold, adrenaline + wood heated clubroom by fireplace after the shooting will keep you warm! new upgrade - extreme .44MAGNUM revolver 6" TAURUS RAGING BULL with intergrated muzzle break. It is much stronger gun caliber than .357MAG we had before. All packages with the revolver are upgraded since today for FREE from .357MAG to .44MAGNUM bigger shots. Always remember that guns are not toys and should be treated with respect! 3. Keep your finger out of the gun’s trigger guard and off the trigger until you have aligned the gun’s sights on a safe target and you have made the decision to fire. 5. Never use firearms while under the influence of drugs or alcohol. 6. Ear and eye protection should always be worn when shooting or observing.